Nikki joined City University of London in 2005 and is now Professor of Developmental Disorders. She trained as a psychologist completing a BSc Hons in Psychology (Hertfordshire) and an MA in Clinical Child Psychology (Nottingham), before then completing a PhD in Child Health (Liverpool). She has been researching language and communication difficulties for around 20 years. 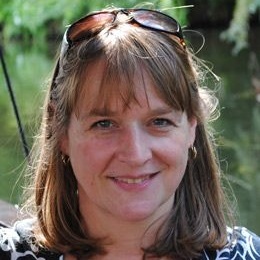 Nicola previously worked for 10 years at The University of Manchester where she holds an honorary position, and is joint-investigator on The Manchester Language Study, the largest UK longitudinal study of developmental language impairment. Botting, N. and Resing, W.C.M. (2007). Editorial: Language impairments: Their impact on educational progress. Botting, N. and Conti-Ramsden, G. (2003). Characteristics of children with specific language impairment. Classification of Developmental Language Disorders: Theoretical Issues and Clinical Implications (pp. 23–38). ISBN 978-1-4106-0902-1. Jones, A., Atkinson, J., Marshall, C., Botting, N., St Clair, M.C. and Morgan, G. (2019). Expressive Vocabulary Predicts Nonverbal Executive Function: A 2-year Longitudinal Study of Deaf and Hearing Children. Child Development. doi:10.1111/cdev.13226 . Botting, N. and Baraka, N. (2018). Sleep behaviour relates to language skills in children with and without communication disorders. International Journal of Developmental Disabilities, 64(4-5), pp. 225–230. doi:10.1080/20473869.2017.1283766 . Messer, D., Bernardi, M., Botting, N., Hill, E.L., Nash, G., Leonard, H.C. … Henry, L.A. (2018). An exploration of the factor structure of executive functioning in children. Frontiers in Psychology, 9(JUN). doi:10.3389/fpsyg.2018.01179 . Messer, D.J., Bernardi, M., Botting, N., Hill, E.L., Nash, G., Leonard, H.C. … Henry, L. (2018). Individual differences and their contribution to the factor structure of executive functioning in children. Frontiers in Psychology, 9, pp. 1179–1179. doi:10.3389/fpsyg.2018.01179 . Conti-Ramsden, G., Durkin, K., Toseeb, U., Botting, N. and Pickles, A. (2018). Education and employment outcomes of young adults with a history of developmental language disorder. International Journal of Language and Communication Disorders, 53(2), pp. 237–255. doi:10.1111/1460-6984.12338 . Bernardi, M., Leonard, H.C., Hill, E.L., Botting, N. and Henry, L.A. (2018). Executive functions in children with developmental coordination disorder: a 2-year follow-up study. Developmental Medicine and Child Neurology, 60(3), pp. 306–313. doi:10.1111/dmcn.13640 . Marshall, C., Jones, A., Fastelli, A., Atkinson, J., Botting, N.F. and Morgan, G. (2018). Semantic fluency in deaf children who use spoken and signed language, in comparison to hearing peers. International Journal of Language and Communication Disorders, 53(1), pp. 157–170. Conti-Ramsden, G., Mok, P., Durkin, K., Pickles, A., Toseeb, U. and Botting, N. (2018). Do emotional difficulties and peer problems occur together from childhood to adolescence? The case of children with a history of developmental language disorder (DLD). European Child and Adolescent Psychiatry. doi:10.1007/s00787-018-1261-6 . Van Den Heuvel, E., Botting, N., Boudewijns, I., Manders, E., Swillen, A. and Zink, I. (2017). Developmental course of conversational behaviour of children with 22q11.2 deletion syndrome and Williams syndrome. First Language, 37(6), pp. 583–611. doi:10.1177/0142723717713890 . Botting, N., Jones, A., Marshall, C., Denmark, T., Atkinson, J. and Morgan, G. (2017). Nonverbal Executive Function is Mediated by Language: A Study of Deaf and Hearing Children. Child Development, 88(5), pp. 1689–1700. doi:10.1111/cdev.12659 . McKean, C., Bloch, S., Hilari, K. and Botting, N. (2017). A letter of thanks to Professor Barbara Dodd. International Journal of Language & Communication Disorders, 52(4), pp. 391–391. doi:10.1111/1460-6984.12304 . Botting, N., Dipper, L. and Hilari, K. (2017). The effect of social media promotion on academic article uptake. Journal of the Association for Information Science and Technology, 68(3), pp. 795–800. doi:10.1002/asi.23704 . Toseeb, U., Pickles, A., Durkin, K., Botting, N. and Conti-Ramsden, G. (2017). Prosociality from early adolescence to young adulthood: A longitudinal study of individuals with a history of language impairment. Research in Developmental Disabilities, 62, pp. 148–159. doi:10.1016/j.ridd.2017.01.018 . Henry, L.A. and Botting, N. (2017). Working memory and developmental language impairments. Child Language Teaching and Therapy, 33(1), pp. 19–32. doi:10.1177/0265659016655378 . Durkin, K., Toseeb, U., Botting, N., Pickles, A. and Conti-Ramsdene, G. (2017). Social confidence in early adulthood among young people with and without a history of language impairment. Journal of Speech, Language, and Hearing Research, 60(6), pp. 1635–1647. doi:10.1044/2017_JSLHR-L-16-0256 . O'Loughlin, K., Runnacles, J., Dimmock, V., Botting, N. and Lanlehin, R. (2017). The development of a standardised multiprofessional paediatric in-situ simulation programme based on a national standards framework: A multi-centered approach. International Journal of Clinical Skills, 11(4). Jones, A.C., Toscano, E., Botting, N., Marshall, C.R., Atkinson, J.R., Denmark, T. … Morgan, G. (2016). Narrative skills in deaf children who use spoken English: Dissociations between macro and microstructural devices. Research in Developmental Disabilities, 59, pp. 268–282. doi:10.1016/j.ridd.2016.09.010 . Durkin, K., Toseeb, U., Pickles, A., Botting, N. and Conti-Ramsden, G. (2016). Learning to drive in young adults with language impairment. Transportation Research Part F: Traffic Psychology and Behaviour, 42, pp. 195–204. doi:10.1016/j.trf.2016.07.015 . Aujla, S., Botting, N., Worrall, L., Hickson, L. and Cruice, M. (2016). Preliminary psychometric analyses of two assessment measures quantifying communicative and social activities: the COMACT and SOCACT. Aphasiology, 30(8), pp. 898–921. doi:10.1080/02687038.2015.1074655 . Conti-Ramsden, G., Durkin, K., Mok, P.L.H., Toseeb, U. and Botting, N. (2016). Health, employment and relationships: Correlates of personal wellbeing in young adults with and without a history of childhood language impairment. Social Science and Medicine, 160, pp. 20–28. doi:10.1016/j.socscimed.2016.05.014 . Botting, N., Toseeb, U., Pickles, A., Durkin, K. and Conti-Ramsden, G. (2016). Depression and anxiety change from adolescence to adulthood in individuals with and without language impairment. PLoS ONE, 11(7). doi:10.1371/journal.pone.0156678 . Botting, N., Gaynor, M., Tucker, K. and Orchard-Lisle, G. (2016). The importance of natural change in planning school-based intervention for children with Developmental Language Impairment (DLI). Child Language Teaching and Therapy, 32(2), pp. 159–177. doi:10.1177/0265659015595444 . Botting, N.F., Durkin, K., Toseeb, U., Pickles, A. and Conti-Ramsden, G. (2016). Emotional health, support, and self-efficacy in young adults with a history of language impairment. British Journal of Developmental Psychology. doi:10.1111/bjdp.12148 . Knight, R.A. and Botting, N. (2016). Organising undergraduate research projects: student-led and academic-led models. Journal of Applied Research in Higher Education, 8(4), pp. 455–468. doi:10.1108/JARHE-07-2015-0054 . Marshall, C., Jones, A., Denmark, T., Mason, K., Atkinson, J., Botting, N. … Morgan, G. (2015). Deaf children's non-verbal working memory is impacted by their language experience. Frontiers in Psychology, 6(MAY). doi:10.3389/fpsyg.2015.00527 . Harding, C., Frank, L., Botting, N. and Hilari, K. (2015). Assessment and management of infant feeding. Infant, 11(3), pp. 85–89. Harding, C., Frank, L., Van Someren, V., Hilari, K. and Botting, N. (2014). How does non-nutritive sucking support infant feeding? Infant Behavior and Development, 37(4), pp. 457–464. doi:10.1016/j.infbeh.2014.05.002 . Botting, N., Psarou, P., Caplin, T. and Nevin, L. (2013). Short-term memory skills in children with specific language impairment: The effect of verbal and nonverbal task content. Topics in Language Disorders, 33(4), pp. 313–327. doi:10.1097/01.TLD.0000437940.01237.51 . Camilleri, B. and Botting, N. (2013). Beyond static assessment of children's receptive vocabulary: the dynamic assessment of word learning (DAWL). INTERNATIONAL JOURNAL OF LANGUAGE & COMMUNICATION DISORDERS, 48(5), pp. 565–581. doi:10.1111/1460-6984.12033 . Botting, N.F. and Hasson, N. (2012). Dynamic Assessment of Sentence Structure (DASS): design and evaluation of a novel procedure for the assessment of syntax in children with language impairments. International Journal of Language and Communication Disorders, 47(3), pp. 285–299. Myers, L., Davies-Jones, C., Chiat, S., Joffe, V. and Botting, N. (2011). 'A place where I can be me': A role for social and leisure provision to support young people with language impairment. International Journal of Language and Communication Disorders, 46(6), pp. 739–750. doi:10.1111/j.1460-6984.2011.00048.x . Wadman, R., Botting, N., Durkin, K. and Conti-Ramsden, G. (2011). Changes in emotional health symptoms in adolescents with specific language impairment. INTERNATIONAL JOURNAL OF LANGUAGE & COMMUNICATION DISORDERS, 46(6), pp. 641–656. doi:10.1111/j.1460-6984.2011.00033.x . Harris, J., Botting, N., Myers, L. and Dodd, B. (2011). The relationship between speech impairment, phonological awareness and early literacy development. Australian Journal of Learning Difficulties, 16(2), pp. 111–125. doi:10.1080/19404158.2010.515379 . Manolitsi, M. and Botting, N. (2011). Language abilities in children with autism and language impairment: Using narrative as a additional source of clinical information. Child Language Teaching and Therapy, 27(1), pp. 39–55. doi:10.1177/0265659010369991 . Hasson, N. and Botting, N. (2010). Dynamic assessment of children with language impairments: A pilot study. Child Language Teaching and Therapy, 26(3), pp. 249–272. doi:10.1177/0265659009349982 . Botting, N. (2010). 'It's not (just) what you do, but the way that you do it': factors that determine narrative ability in atypical language learners. Dev Med Child Neurol, 52(10), pp. 886–887. doi:10.1111/j.1469-8749.2010.03651.x . Botting, N., Riches, N., Gaynor, M. and Morgan, G. (2010). Gesture production and comprehension in children with specific language impairment. Br J Dev Psychol, 28(Pt 1), pp. 51–69. Williams, D., Botting, N. and Boucher, J. (2008). Language in Autism and Specific Language Impairment: Where Are the Links? Psychological Bulletin, 134(6), pp. 944–963. doi:10.1037/a0013743 . Botting, N. and Conti-Ramsden, G. (2008). The role of language, social cognition, and social skill in the functional social outcomes of young adolescents with and without a history of SLI. British Journal of Developmental Psychology, 26(2), pp. 281–300. doi:10.1348/026151007x235891 . Conti-Ramsden, G. and Botting, N. (2008). Emotional health in adolescents with and without a history of specific language impairment (SLI). J Child Psychol Psychiatry, 49(5), pp. 516–525. doi:10.1111/j.1469-7610.2007.01858.x . Myers, L. and Botting, N. (2008). Literacy in the mainstream inner-city school: Its relationship to spoken language. Child Language Teaching and Therapy, 24(1), pp. 95–114. doi:10.1177/0265659007084570 . Conti-Ramsden, G., Botting, N. and Durkin, K. (2008). Parental perspectives during the transition to adulthood of adolescents with a history of specific language impairment (SLI). J Speech Lang Hear Res, 51(1), pp. 84–96. doi:10.1044/1092-4388(2008/006) . Wetherell, D., Botting, N. and Conti-Ramsden, G. (2007). Narrative in adolescent specific language impairment (SLI): a comparison with peers across two different narrative genres. Int J Lang Commun Disord, 42(5), pp. 583–605. doi:10.1080/13682820601056228 . Wetherell, D., Botting, N. and Conti-Ramsden, G. (2007). Narrative skills in adolescents with a history of SLI in relation to non-verbal IQ scores. Child Language Teaching and Therapy, 23(1), pp. 95–113. doi:10.1177/0265659007072322 . Botting, N. (2007). The relationship between reading skill and descriptive picture narratives in late-primary age children with a history of language impairment. Educational and Child Psychology, 24(4), pp. 31–43. Conti-Ramsden, G., Simkin, Z. and Botting, N. (2006). The prevalence of autistic spectrum disorders in adolescents with a history of specific language impairment (SLI). J Child Psychol Psychiatry, 47(6), pp. 621–628. doi:10.1111/j.1469-7610.2005.01584.x . Pratt, C., Botting, N. and Conti-Ramsden, G. (2006). The characteristics and concerns of mothers of adolescents with a history of SLI. Child Language Teaching and Therapy, 22(2), pp. 177–196. doi:10.1191/0265659006ct301oa . Botting, N., Simkin, Z. and Conti-Ramsden, G. (2006). Associated Reading Skills in Children with a History of Specific Language Impairment (SLI). Reading and Writing, 19(1), pp. 77–98. doi:10.1007/s11145-005-4322-4 . Lloyd, H., Paintin, K. and Botting, N. (2006). Performance of children with different types of communication impairment on the Clinical Evaluation of Language Fundamentals (CELF). Child Language Teaching and Therapy, 22(1), pp. 47–67. doi:10.1191/0265659006ct297oa . Hick, R.F., Botting, N. and Conti-Ramsden, G. (2005). Short-term memory and vocabulary development in children with Down syndrome and children with specific language impairment. Dev Med Child Neurol, 47(8), pp. 532–538. Hick, R., Botting, N. and Conti-Ramsden, G. (2005). Cognitive abilities in children with specific language impairment: consideration of visuo-spatial skills. Int J Lang Commun Disord, 40(2), pp. 137–149. Botting, N. (2005). Non-verbal cognitive development and language impairment. J Child Psychol Psychiatry, 46(3), pp. 317–326. doi:10.1111/j.1469-7610.2004.00355.x . Botting, N. and Adams, C. (2005). Semantic and inferencing abilities in children with communication disorders. Int J Lang Commun Disord, 40(1), pp. 49–66. Botting, N. (2004). Children's Communication Checklist (CCC) scores in 11-year-old children with communication impairments. Int J Lang Commun Disord, 39(2), pp. 215–227. doi:10.1080/13682820310001617001 . Conti-Ramsden, G. and Botting, N. (2004). Social difficulties and victimization in children with SLI at 11 years of age. J Speech Lang Hear Res, 47(1), pp. 145–161. doi:10.1044/1092-4388(2004/013) . Botting, N. and Conti-Ramsden, G. (2003). Autism, primary pragmatic difficulties, and specific language impairment: can we distinguish them using psycholinguistic markers? Dev Med Child Neurol, 45(8), pp. 515–524. Conti-Ramsden, G., Botting, N., Knox, E. and Simkin, Z. (2002). Different school placements following language unit attendance: which factors affect language outcome? Int J Lang Commun Disord, 37(2), pp. 185–195. doi:10.1080/13682820110116866 . Botting, N., McCracken, W. and Conti-Ramsden, G. (2002). Standard assessment tasks and children with a history of specific language impairment: Evidence of residual learning difficulties in relation to junior school placement. Educational and Child Psychology, 19(4), pp. 4–15. Botting, N. (2002). Narrative as a tool for the assessment of linguistic and pragmatic impairments. Child Language Teaching and Therapy, 18(1), pp. 1–21. doi:10.1191/0265659002ct224oa . Conti-Ramsden, G., Knox, E., Botting, N. and Simkin, Z. (2002). Focus on Practice: Educational placements and National Curriculum Key Stage 2 test outcomes of children with a history of specific language impairment. British Journal of Special Education, 29(2), pp. 76–82. doi:10.1111/1467-8527.00244 . Botting, N., Faragher, B., Simkin, Z., Knox, E. and Conti-Ramsden, G. (2001). Predicting pathways of specific language impairment: what differentiates good and poor outcome? J Child Psychol Psychiatry, 42(8), pp. 1013–1020. Botting, N. and Conti-Ramsden, G. (2001). Non-word repetition and language development in children with specific language impairment (SLI). Int J Lang Commun Disord, 36(4), pp. 421–432. Conti-Ramsden, G., Botting, N. and Faragher, B. (2001). Psycholinguistic markers for specific language impairment (SLI). J Child Psychol Psychiatry, 42(6), pp. 741–748. Conti-Ramsden, G., Botting, N., Simkin, Z. and Knox, E. (2001). Follow-up of children attending infant language units: outcomes at 11 years of age. Int J Lang Commun Disord, 36(2), pp. 207–219. Botting, N. and Conti-Ramsden, G. (2000). Social and behavioural difficulties in children with language impairment. Child Language Teaching and Therapy, 16(2), pp. 105–120. doi:10.1177/026565900001600201 . Botting, N. and Conti-Ramsden, G. (1999). Pragmatic Language Impairment without Autism. Autism, 3(4), pp. 371–396. doi:10.1177/1362361399003004005 . Conti-Ramsden, G. and Botting, N. (1999). Classification of children with specific language impairment: longitudinal considerations. J Speech Lang Hear Res, 42(5), pp. 1195–1204. Conti-Ramsden, G. and Botting, N. (1999). Characteristics of children attending language units in England: a national study of 7-year-olds. Int J Lang Commun Disord, 34(4), pp. 359–366. Botting, N., Powls, A., Cooke, R.W. and Marlow, N. (1998). Cognitive and educational outcome of very-low-birthweight children in early adolescence. Dev Med Child Neurol, 40(10), pp. 652–660. Botting, N., Crutchley, A. and Conti-Ramsden, G. (1998). Educational transitions of 7-year-old children with SLI in language units: a longitudinal study. Int J Lang Commun Disord, 33(2), pp. 177–197. Botting, N. (1998). Semantic-pragmatic disorder (SPD) as a distinct diagnostic entity: making sense of the boundaries. Int J Lang Commun Disord, 33(1), pp. 87–90. Botting Gina Conti-Ramsden Alison C, N. (1998). Educational transitions from a clinical perspective: a reply to commentaries. International Journal of Language & Communication Disorders, 33(2), pp. 215–219. doi:10.1080/136828298247875 . Crutchley, A., Conti-Ramsden, G. and Botting, N. (1997). Bilingual children with specific language impairment and standardized assessments: Preliminary findings from a study of children in language units. International Journal of Bilingualism, 1(2), pp. 117–134. doi:10.1177/136700699700100202 . Botting, N., Powls, A., Cooke, R.W. and Marlow, N. (1997). Attention deficit hyperactivity disorders and other psychiatric outcomes in very low birthweight children at 12 years. J Child Psychol Psychiatry, 38(8), pp. 931–941. Conti-Ramsden, G., Crutchley, A. and Botting, N. (1997). The extent to which psychometric tests differentiate subgroups of children with SLI. J Speech Lang Hear Res, 40(4), pp. 765–777. Powls, A., Botting, N., Cooke, R.W., Stephenson, G. and Marlow, N. (1997). Visual impairment in very low birthweight children. Arch Dis Child Fetal Neonatal Ed, 76(2). Crutchley, A., Botting, N. and Conti-Ramsden, G. (1997). Bilingualism and specific language impairment in children attending language units. Eur J Disord Commun, 32(2), pp. 267–276. Botting, N., Conti-Ramsden, G. and Crutchley, A. (1997). Concordance between teacher/therapist opinion and formal language assessment scores in children with language impairment. Eur J Disord Commun, 32(3), pp. 317–327. Powls, A., Botting, N., Cooke, R.W., Pilling, D. and Marlow, N. (1996). Growth impairment in very low birthweight children at 12 years: correlation with perinatal and outcome variables. Arch Dis Child Fetal Neonatal Ed, 75(3). Powls, A., Botting, N., Cooke, R.W. and Marlow, N. (1996). Handedness in very-low-birthweight (VLBW) children at 12 years of age: relation to perinatal and outcome variables. Dev Med Child Neurol, 38(7), pp. 594–602. Powls, A., Botting, N., Cooke, R.W. and Marlow, N. (1995). Motor impairment in children 12 to 13 years old with a birthweight of less than 1250 g. Arch Dis Child Fetal Neonatal Ed, 73(2).